The Department of Co-operative Governance and Traditional Affairs (Cogta) is moving swiftly with its intervention in Msunduzi and plans to reveal the administrator and his team within the next few days. On Wednesday Cogta spokesperson Lennox Mabaso said the administration team would assume their duties at the City Hall as soon as they were introduced to the people of Msunduzi. He said in the meantime, Cogta’s own team had already started work on the restoration of good governance in the municipality. “We are planning to go out and engage with the communities because we want to appraise them on how this intervention is going to work and we also want their support to rebuild Msunduzi. “We will be starting at Caluza this Friday [tomorrow] and we will also be going to other areas like Northdale and so forth,” said Mabaso. He said the intervention was not just by the provincial department, but officials from national Cogta were also part of the process. The targeted areas include human resources issues, service delivery delays, governance and challenges within the finance department. “The billing is a source of revenue but how can you expect people to have the confidence to pay when there are so many problems?” asked Mabaso. He said one of the concerns raised by Cogta MEC Nomusa Dube-Ncube when she placed the City under administration on Tuesday, was the lack of consequence management. He said those whose actions compromised service delivery or the financial stability of the municipality must expect to face consequences. “There will be consequences when things are not done right but that doesn’t mean this intervention is a witch-hunt. Opposition parties have accused Cogta of being partially responsible for the collapse of governance in Msunduzi. They blamed the department for the allegedly irregular secondment and appointment of the suspended City boss Sizwe Hadebe. However, on Wednesday Mabaso said he would not entertain such “hallucinations”. On the fears that the municipality could revert back to a state of dysfunctionality, Mabaso said people must trust the process. He said they must also not compare what happened in 2011 to what is happening now as the City now had a new council and administration. 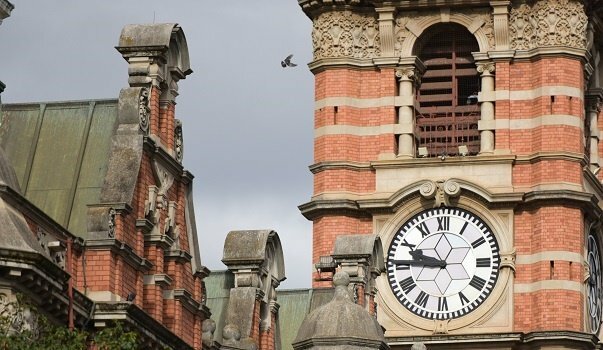 Cogta’s intervention was the subject of discussions around City Hall on Wednesday as some municipal staff feared it could affect jobs, while others said it was long overdue. Most were cautiously optimistic that the administration would help turn the City around while others said dissolving council would have given the municipality a real fresh start. “Msunduzi has been gripped with corruption and political interference since this council took over in 2016. There are senior officials who are in the pockets of politicians and they are helping them loot the municipality,” said one of the mid-level managers. He said Cogta was aware of the extent of the corruption and had even sent a team to investigate this, but that probe was still pending. While the manager conceded that the lack of accountability amongst some municipal staff members was one of the things the administration team needed to deal with, he said the City’s biggest problem was its council. “The MEC [Dube-Ncube] said it herself that the council is dysfunctional. The ANC caucus spends more time fighting along factional lines instead of dealing with their comrades who are interfering with the awarding of tenders and recruitment processes … the opposition is simply not effective,” he said. A senior Msunduzi manager said on Wednesday Cogta was partially to blame for the collapse of governance. She said Cogta should have acted when the general managers sent a petition to the national and provincial governments asking for their urgent intervention. Last February The Witness reported on their allegations that the municipality received a disclaimer because now suspnded City manager Sizwe Hadebe was running Msunduzi without fiduciary care, as well negative principles of sound and ethical governance. “They told Cogta that they couldn’t even do their jobs because he had taken away their powers. Imagine how different things would be today if Cogta had intervened then?” she said. Another official blamed fiscal dumping by the national and provincial departments for the inadequate spending of conditional grants. She said they deposited millions of rands into Msunduzi’s bank accounts just a few months before the end of the financial year. “The provincial department are also responsible for the state of the City’s finances. They are also not paying for water and electricity but maybe the administrator can get them to pay because we feel like we are losing that battle,” she said. A clerk who has worked for Msunduzi since 2009 said the City was in a worse state than it was when it was previously placed under administration. She believed the irregular appointment of staff — from street sweepers to top management — was the root cause of the state of dysfunctionality that Msunduzi was in. “Most political deployees have an unbelievable sense of entitlement. Some of them don’t even respect the managers they work under. The level of insubordination is extremely high but there is nothing the most senior managers can do because these deployees enjoy the political protection of the ANC,” she said. One of the cleaners said she hoped the administrator would not just focus on the issues affecting the top management. She said those on the ground often did not even have the tools to do their jobs — like brooms, mops and vacuum cleaners. She said they last received uniforms in 2017, and showed The Witness the damaged soles of her old boots.